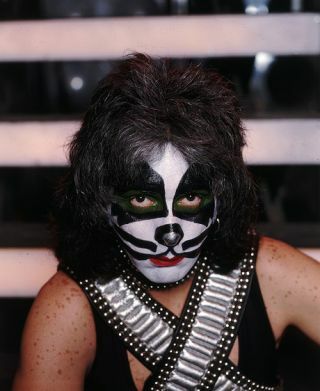 Former Kiss drummer Peter 'The Catman' Criss is writing his autobiography. Criss will publish Makeup To Breakup next year through the Scribner publishing house. In a statement from Scribner, the sticksman said: "I am so blessed that I am finally going to write my autobiography, and I hope you enjoy the ride. The best of all is I get to share my true feelings of my love for God, family, friends and fame. It's been a wonderful life." We're guessing his wonderful life has been full of wonderful, and some not so wonderful, stories. Did he quit Kiss or was he fired? What does he make of the 1991 homeless hoax? How did he beat cancer? Yup, we think there's plenty for him to write about.